Mallards Farm Market Garden sells a wide range of own grown products in its own shop at Waterham near Faversham. This is supplemented with high quality fresh fruit and vegetables sourced directly from other growers. My philosophy is to offer the consumer fresh quality produce, grown using a combination of ‘old fashioned’ and ‘modern’ rotation, cultivation and irrigation techniques. This reduces the intensity and cuts down on chemical use. The Market Garden Farm sits on the site of Monks Hill. It is believed that this land formed part of the monastic gardens and has probably been cultivated since Saxon times. 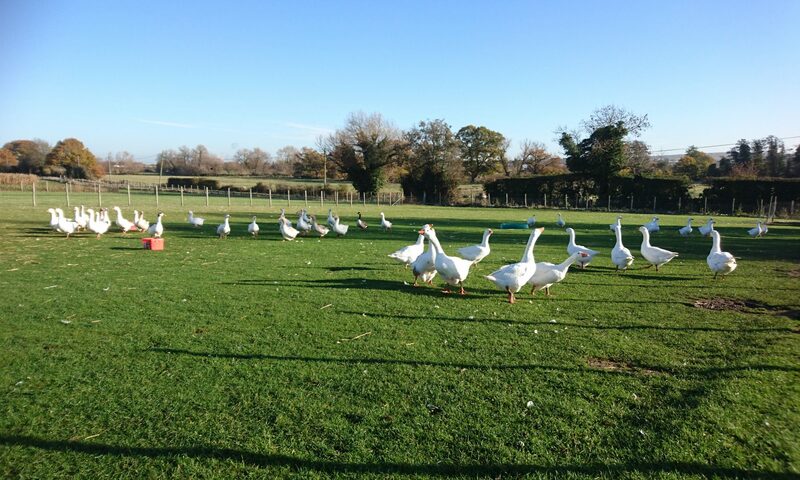 My grandfather Arthur Barten bought Little Waterham and Mallards Farm after the Second World War. After his death in 1969, the farm was sold, my parents Ted and Zena Barten acquired the market garden at Mallards Farm. I inherited it on my father’s death. Over the last few years my own grown range has increased in supplying local restaurants. It has also proved popular in tasting and culinary delights at local outdoor events. Saturdays are busy at Mallards and you are welcome to come along and enjoy tasting the produce that you can then buy. Picnic on the benches in the natural setting of a tradition market garden farm. The main concept of rotation is that the land is only cropped four years out of every nine. For the first four years the land is laid to grass which is grazed by our sheep, thus helping its fertility. The rotation continues with potatoes being planted in year five, brassicas (cabbages) in year six. In year seven small crops such as runner beans, sweetcorn and courgettes are planted. In year eight fodder beet is grown for the sheep and the pigs and to help build fertility on spare parcels of land. The cycle of rotation ends with a year of potatoes before starting again with grass. The rotation length is the time taken for the land to regain its fertility and structure. The use of this rotational program allows farmyard manure to be used, I therefore do not need to use chemical fertiliser, thus promoting strong healthy plant growth and reduce the need for intensive spray programs.